Two weeks ago, the New York Times’ truth-humor strip on “The Home of the Future” came on the heels of Google’s purchase of ‘smart thermostat’ manufacturer Nest for $3.2 Billion. With power utility commissions such as California already stating their intention to “expand third-party access” to in-home data, the perfect storm is brewing for Google’s mission of making you their product – even in your own home. I would argue that [us] implanting things in your brain is beyond the creepy line – at least for the moment, until the technology gets better. The timing of Google’s purchase announcement is interesting, coming only a couple weeks after US federal judge William Pauley ruled that the unwarranted NSA phone surveillance against US citizens is legal. So where does a ‘smart thermostat’ fit in the current corporatist drive for total in-home surveillance? For the last couple of years, utilities around the globe have all been touting their new metering systems with buzzwords such as ‘smart’, ‘advanced’, ‘upgraded’, or ‘modernized’. All rhetoric aside, these devices are intended to integrate with all appliances in your home to form an inescapable wireless data-mining dragnet, dubbed as the “home area network”, with your HVAC and likely other in-home systems overseen by spy-giant Google, if they get their way. the corporate push to deploy a ‘smart’ meter on their home. 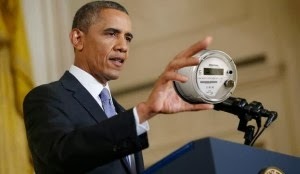 As we’ve seen, even former CIA director David Petraeus was publicly frothing over having the ability to spy through ‘smart’ appliances, intended to wirelessly report back to the meter continuously, while receiving energy-use dictates from the meter. Smart grid planners and working groups have even laid these aims out in their internal roadmaps, citing goals such as “new tools for mining data and intel” and “data mining and analytics to become core competency”. So what can be done to protect rights? While people cannot vote to prevent corporations from making products such as data-mining thermostats appliances, they do have a voice as utilities try their best to deploy the home-colonizing meters. Public resistance to ‘smart’ meter deployments has predictably been considerable, as people are learning about not only surveillance capabilities, but also skyrocketing electricity costs, time-of-use billing, risk of fires, home hackability, electrical quality degradation and functional impairments from pulsed microwave radiation — amazingly, all being linked to the new utility metering system. The sheer number of entry-points for concern over this ill-advised corporatist effort is making for an activist’s dream, fueling a movement which is bi-partisan to the core. Despite pilot programs indicating no energy savings and mounting opposition now from several hundred activist groups, federal governments such as the US are continuing with their push to incentivize utilities to push forward ‘smart’ grid deployment. Apparently, having a piece of the $11 Billion taxpayer-funded ‘smart’ grid pie, pushed through by the Obama Administration immediately following the 2008 election, is sufficient motivation for utility executives to steamroll forward despite the growing resistance. but no energy savings are realized – despite costing billions. 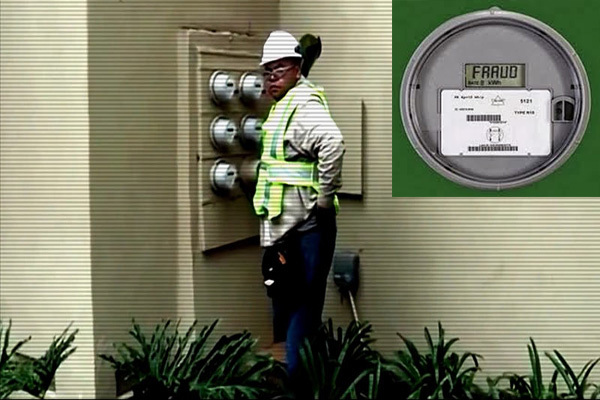 As an example, PECO, a major utility in Pennsylvania, is slated to receive $200 Million in stimulus funding if they can deploy 600,000 ‘smart’ meters by April 2014. Significantly, anyone can choose to protect their in-home rights by saying no to the deployment of a ‘smart’ meter on their home. There are no legal requirements in any country or region for an energy customer to accept a ‘smart’ meter. 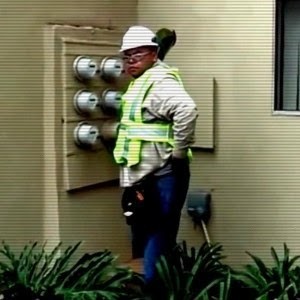 However, utilities are using tactics of intimidation, propaganda, and tacit acceptance – which means that unless you said a clear “no”, they assume a “yes.” In some cases even with a homeowner’s refusal, utilities are forcibly deploying anyway, apparently assuming the liability for doing so, risking litigation. So Google has played their hand with the $3.2 Billion purchase of Nest, desiring to capture the worldwide ‘smart’ home data-mining market, and praying to the all-spying-eye that people will stay tethered to their ‘smart’ wireless toys as their rights roll swiftly towards a cliff. But will awareness eventually reach a game-changing crescendo? It seems as though the potential exists. If we want to experience a future other than being ruled by technocrats, now is the time to speak up – even if facing the situation isn’t convenient. People simply need to know the facts. Josh del Sol is the director and producer of Take Back Your Power, a revelatory documentary feature film uncovering the worldwide ‘smart’ metering and grid agenda. Watch the film and subscribe to updates at www.takebackyourpower.net, where this article first appeared.